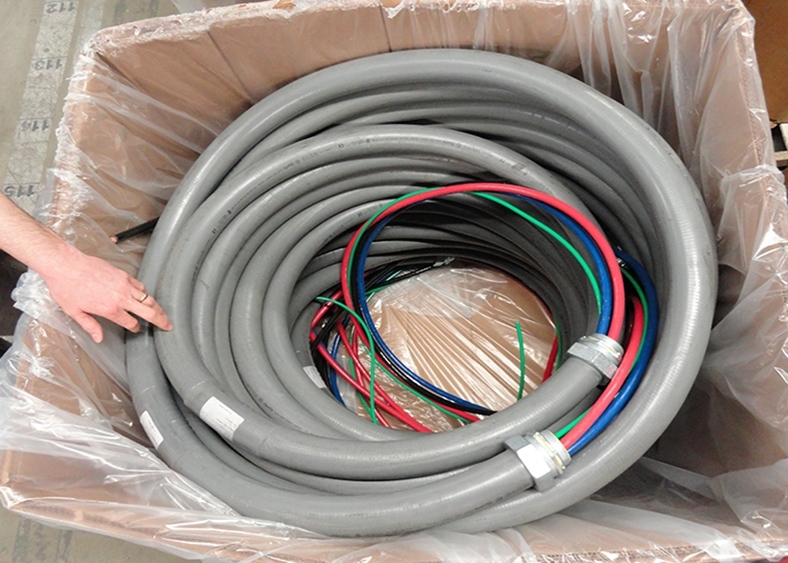 Strong, durable and liquid tight; by far data centers most popular conduit option. Flexible metal conduit (Greenfield) is a reduced wall flexible metal conduit available in either steel (RWS) or alunimum (RWA). Permitted for use in Information Technology Equipmeint raised floor environments, flexible metal conduit is not suitable for damp or wet locations. When local electrical jurisdictions prohibit the use of liquid tight conduit, the next best option is flexible metal conduit. Through its many varieties, SO cord is increadibly versatile, making it the most popular electrical cord on the market. 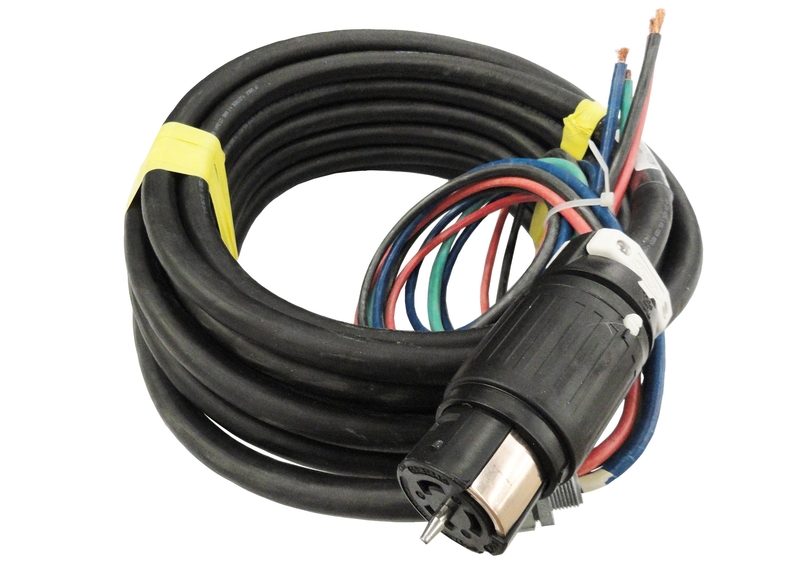 The different types of rubber or plastic jackets surrounding the multi-conductors offer a safe and cost effective option for most projects. 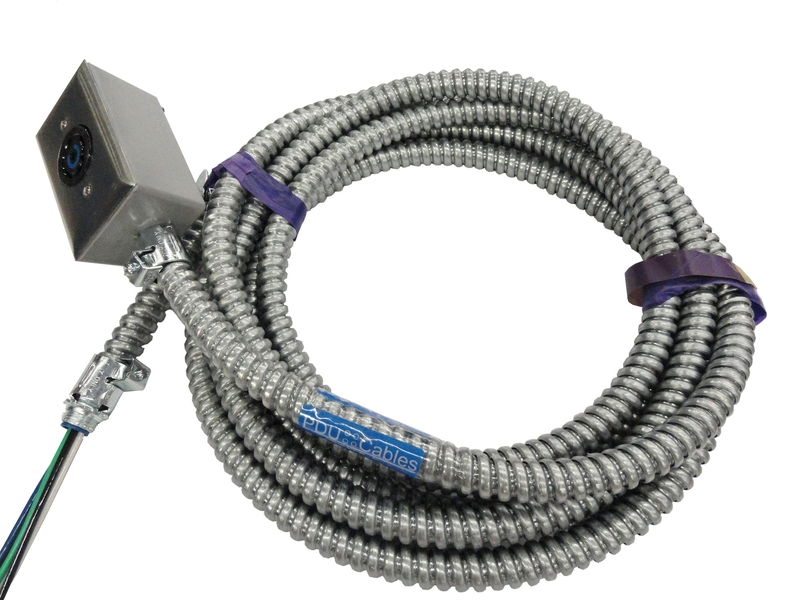 SOOW is the most popular type of SO cord, and it is often used in industrial settings. It has a 600-volt rating but also comes as a junior service cord, SJOOW, which is rated for 300 volts. STOOW cord has the same oil and water resistant features as SOOW and SEOOW, and can be used in both indoor and outdoor applications. However, it has a thermoplastic (PVC) jacket that is the leaset flexible of the three options and will deform under extreme heat or pressure. 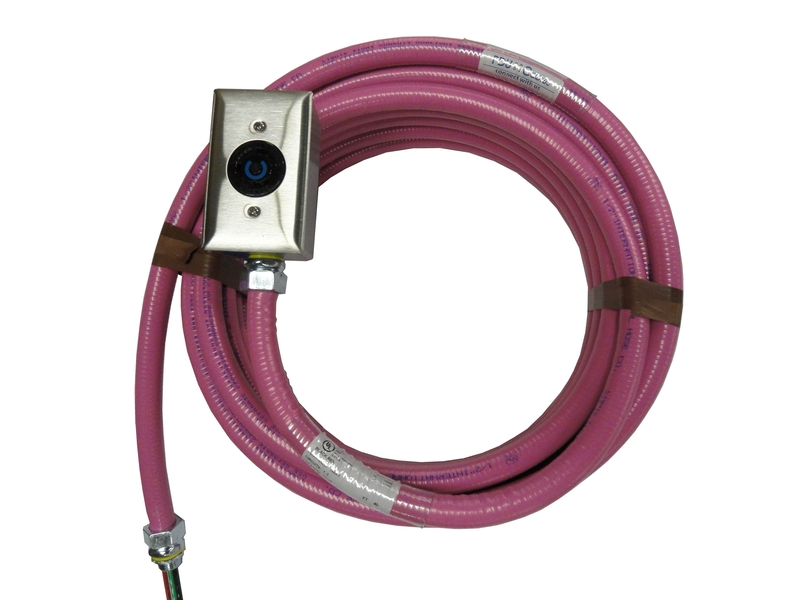 This type of SO cord should be used where it will have minimal exposure to chemicals, oil and extreme temperatures. STOOW is common in consumer applications, portable lights and power extensions. Metal clad cables are assemblies of one or more insulated circuit conductors with or without optical fiber members enclosed in an armor of interlockign metal tape, or a smooth corrugated sheath. 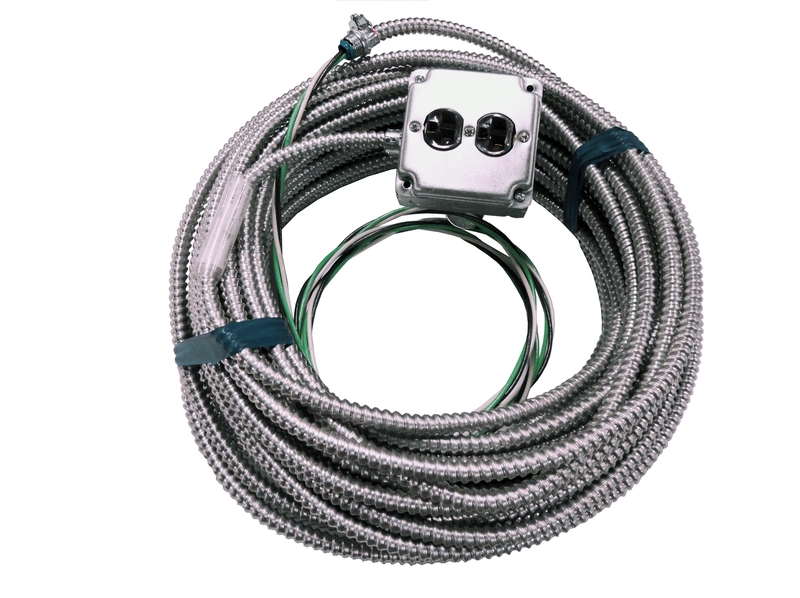 Unlike Armored Cable (AC) MC Cable has a full size ground wire where AC uses a combination of the jacket and a thin bonding strip or wire to function as the equipment ground. Feeder cables are used to supply power from one part of a facility to another, from point A to point B. Perfect for providing temporary power service during construction or to supply power to specialized equipment. 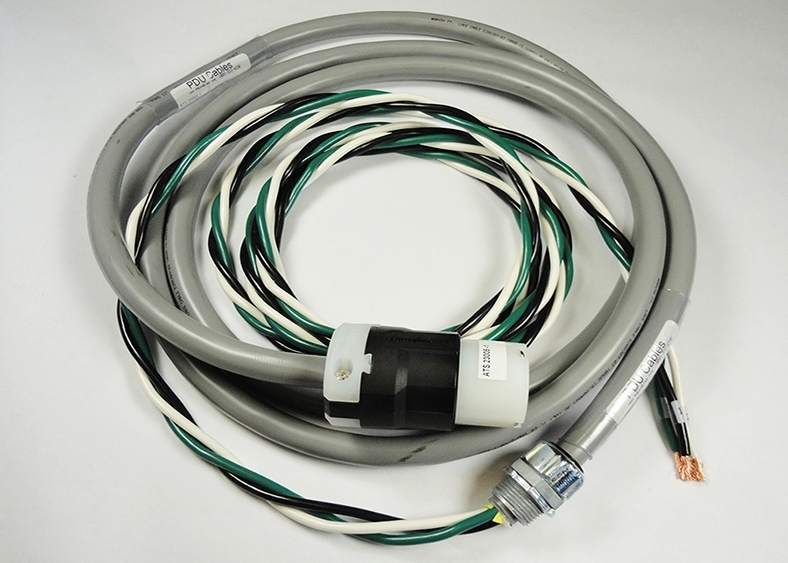 Feeder cables can be made with any number of conduit types and conductors based on the specific requirements of the assemblies.